With it being Thursday, we wanted to “throw back” to our Palm Canyon property. 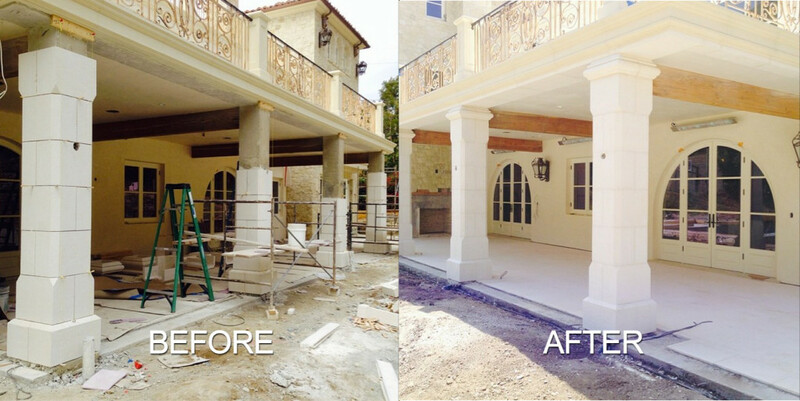 We all love the before and after photos so we wanted to show off this before/after photo of the limestone columns and pavers. Utilizing the Chateau Charvet Limestone collection, we were able to keep the clean stone look that blends seamlessly to the exterior of the home.